The Concordia Student Union held a press conference outside the Palais de Justice Wednesday, where they planned to personally deliver hundreds of letters denouncing the religious neutrality law to Justice Minister Stéphanie Vallée. According to a statement from the union, the letters denounce the inherently racist, sexist and Islamophobic nature of Bill 62, a law adopted by the Quebec government in late October. Because Vallée was not present, the CSU will be mailing out the letters instead. “By prohibiting women who, for personal religious reasons, wear the niqab, from receiving educational services, Bill 62 effectively bars these women from our university and deprives them of the educational and job opportunities to which they are entitled,” said CSU General Coordinator Omar Riaz in the statement, also released Wednesday. The letters come on the heels of CSU’s decision to adopt a position denouncing the Bill. According to External Affairs and Mobilization Coordinator Ahmed Badr, this decision was made because the law violates the rights of Muslim women. The CSU holds positions in support of feminism and access to education. “[The bill] is in violation of basic human rights, it is unconstitutional, it is discriminatory, it is contradictory. This law should not exist because everyone must have equal rights,” Badr said. 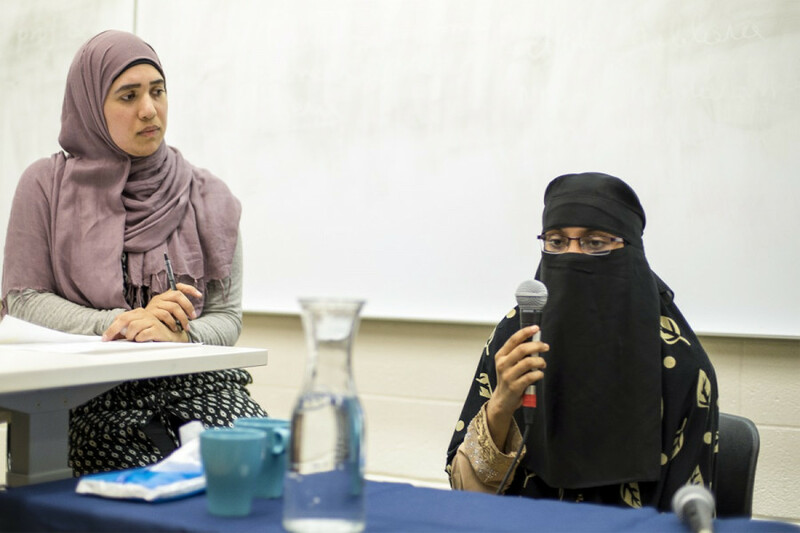 The CSU had collected signatures from Concordia students for the letters, through tabling in the Hall building and through their Bill 62 panel event last week.